Mahle and Robert Bosch plan to sell their turbocharger partnership, citing a failure to achieve economies of scale despite strong sales growth. 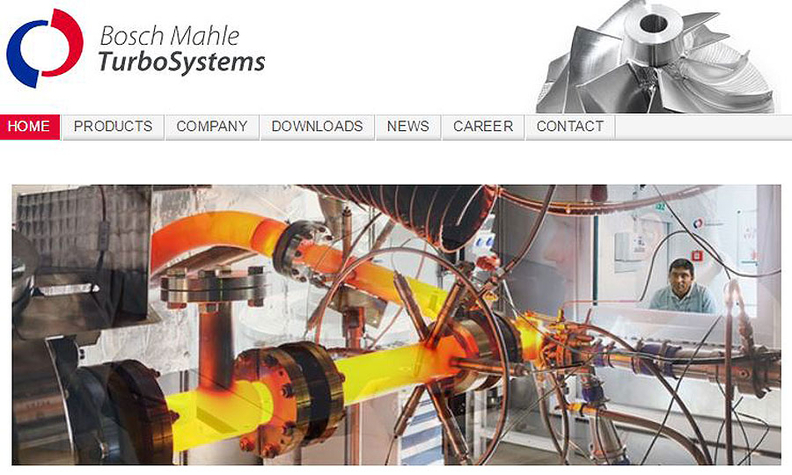 Their joint venture, Bosch Mahle Turbo Systems, has two plants in Austria and China and employs 1,400 workers. The partnership’s plants enjoy high capacity utilization, said Rolf Bulander, chairman of Bosch’s business sector mobility solutions. But “sales volumes are still too low in comparison with our larger competitors and must be further expanded,” Bulander said Monday in a written statement. Two competitors -- Honeywell Transportation Systems and BorgWarner Inc. -- dominate the turbocharger segment, despite efforts by Bosch to establish a niche. Honeywell has said it wins 40 percent of the contracts it bids on. In a Monday note to investors, Wells Fargo analyst Richard Kwas estimated that the Bosch-Mahle joint venture had captured less than 10 percent of the global turbocharger market. The proposed sale “demonstrates the importance of size and scale in the turbocharger business and the competitive moat possessed by BorgWarner and Honeywell,” Kwas wrote. Continental is a potential bidder, Kwas said, and he speculated that Magna International also might be interested. Bosch and Mahle formed the venture in 2008 in hopes of tapping the turbo market as automakers spent heavily to improve fuel economy. By downsizing engines and adding turbochargers, automakers can boost fuel economy by 20 percent or more. Even if winning business proved too tough, the partners were correct in their assumptions about the segment’s growth. By 2021, 48 percent of all passenger vehicles produced worldwide will be equipped with turbochargers, according to a Honeywell forecast. That’s up from 39 percent last year.